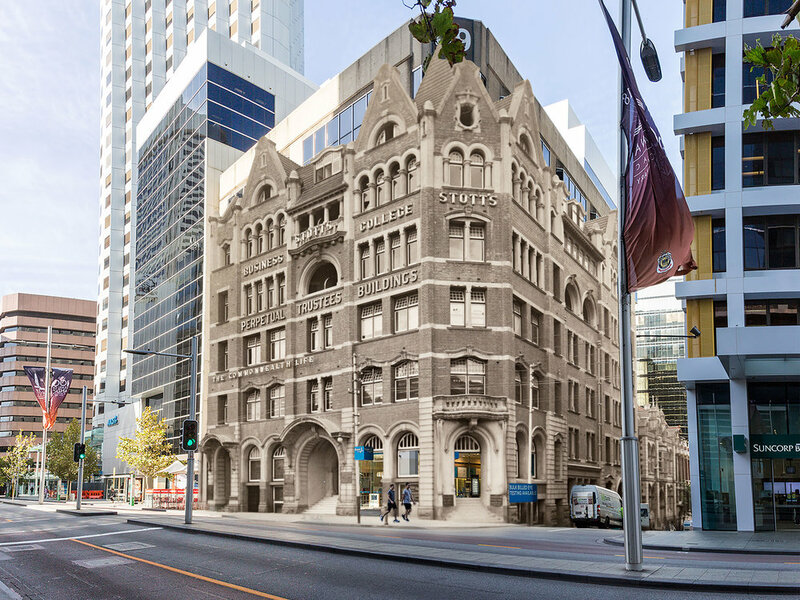 The City of Perth experienced a major building renaissance, beginning in the 1960s and into the 1970s, due to the discovery and subsequent mining of iron ore in the north west of Western Australia. With the sudden increase of the population of Perth, as skilled migrants from Europe moved to Western Australia to work in the mining and other associated industries, the infrastructure of Perth had to improve greatly. New roads, schools and housing estates had to be constructed to accommodate the sudden increase in population. Another significant change was the city skyline where new office buildings had to be built to house the many new workers to the city. The downside to this reinvigoration of the city was the loss of many buildings with historical and cultural sentiment. These grand buildings, built from stone or other local materials, with intricate plaster and fretwork and expansive lobbies, were demolished to make way for much bigger modern-looking structures of steel and glass. 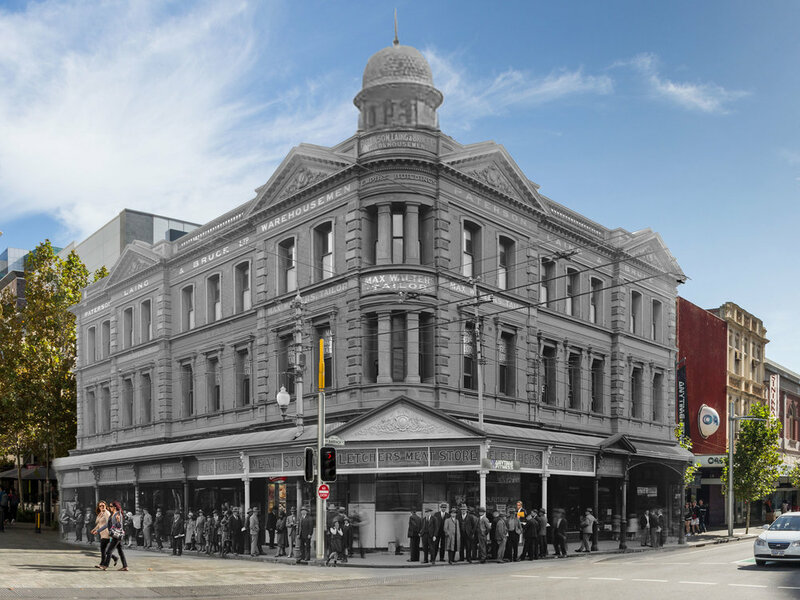 This website looks at these demolished icons of Perth with a history of the building and what subsequently replaced it when it was destroyed. Most were demolished between 1960 to 1980. 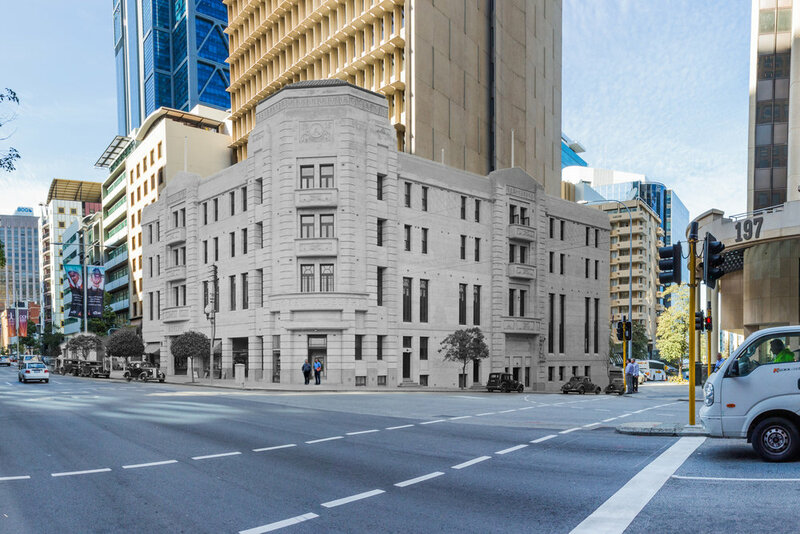 Some historic buildings remain intact and, thankfully, Perth's city skyline now has a blend of old and new. The Museum of Perth acknowledges the support of the State Library of Western Australia who provided images for this website. The State Library collects and preserves Western Australia’s social and documentary heritage for current and future generations. Funding and the assistance of volunteers for this project was provided through a partnership with Employment Plus. Many of the photographs and composite images displayed on this website were created by Michael Parr from Lost Perth Found. With thanks to the Buchan Group for their generous provision of high quality images of the archived plans for Hotel Adelphi, Emu Brewery and Michelides Tobacco Factory.